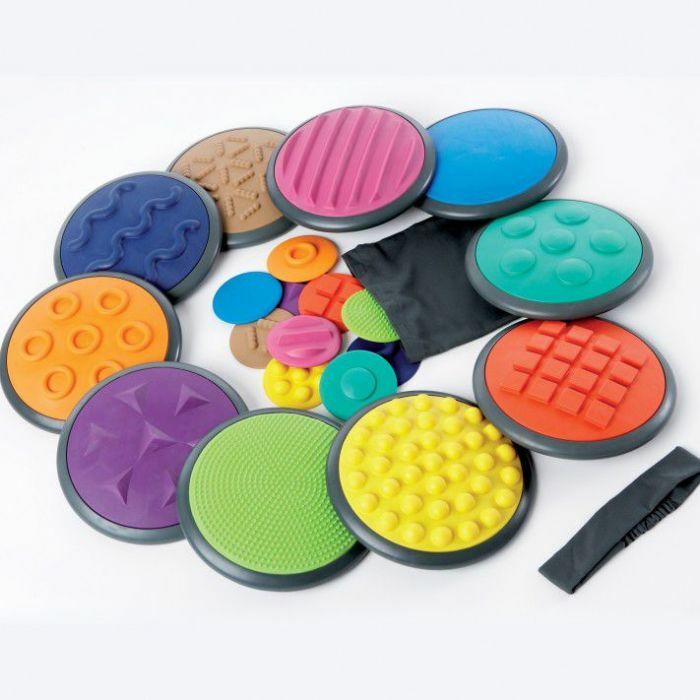 Pre-school and primary children love these tactile disk sets with material that challenges a sense of touch on both hands and feet. Made of synthetic rubber the disks contain different tactile structures. The set is made up of ten large and ten small disks. 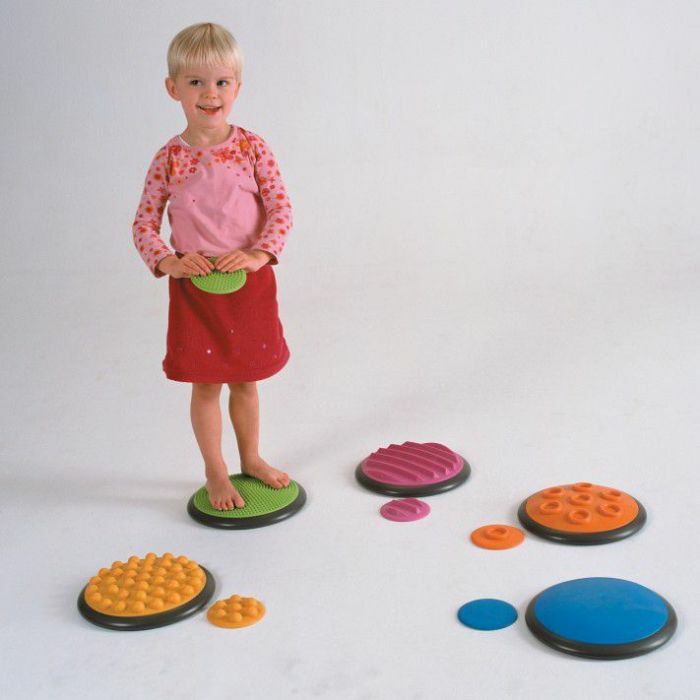 The tactile structures found on a large disc are replicated on the small disks. 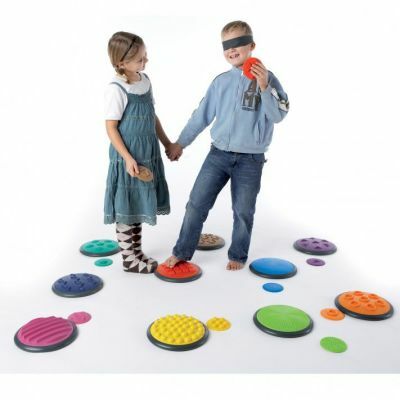 The tactile discs offer innumerable possibilities ranging from fundamental sensing of the tactile structures to blindfold games based on memory and recognition. It is possible to arrange the task and challenge to suit the child’s age and capability.